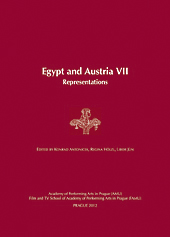 Egypt and Austria X: Visualizing the Orient. Central Europe and the Near East in the 19th and 20th Centuries, ed. by Adéla Jůnová-Macková, Lucie Storchová, and Libor Jůn.